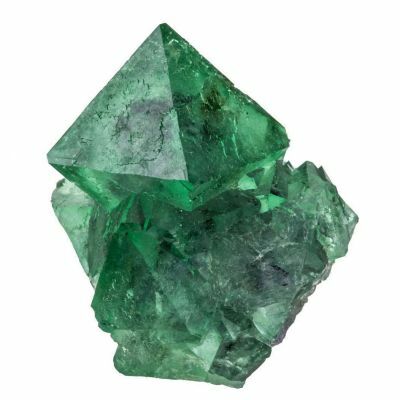 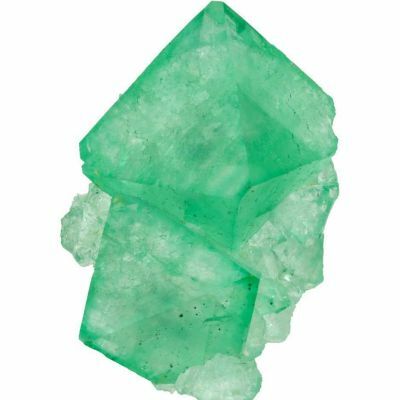 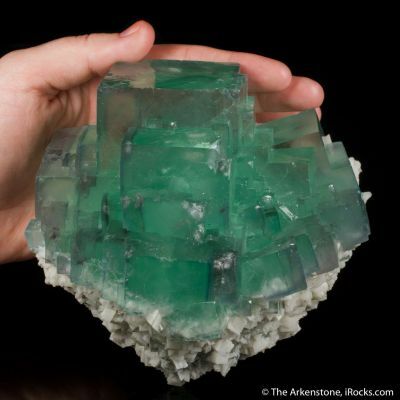 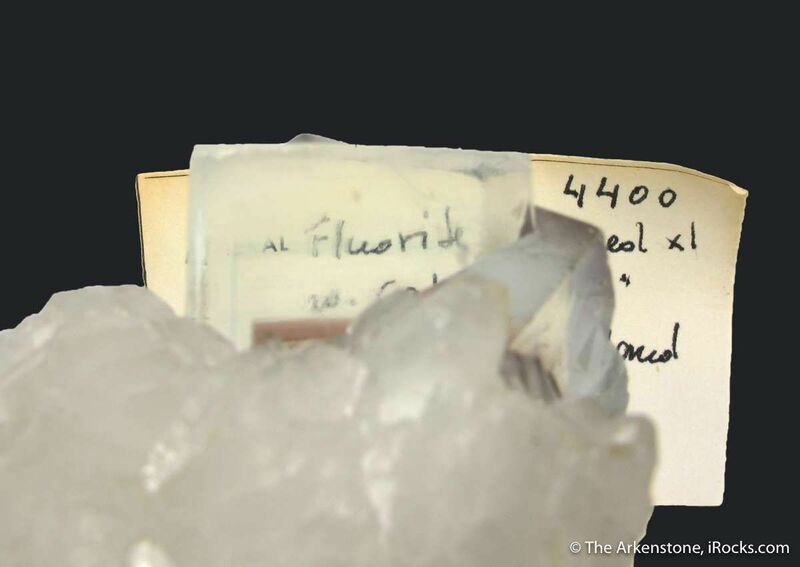 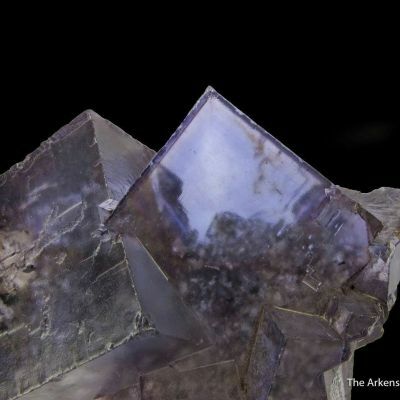 English Fluorites are renowned and fine examples are old classics now. 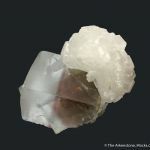 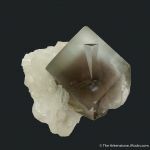 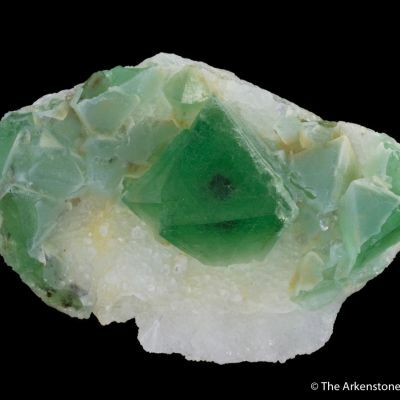 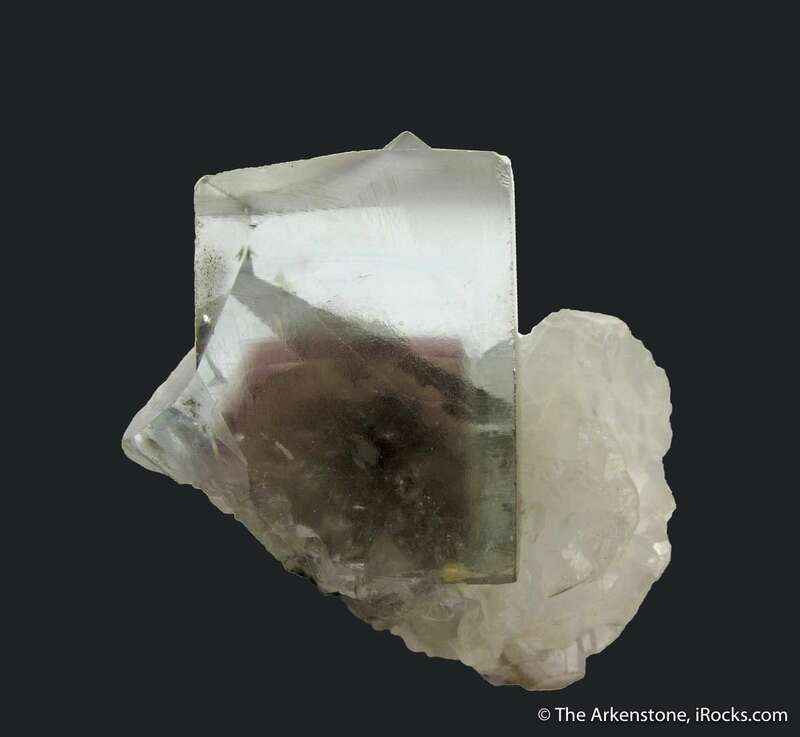 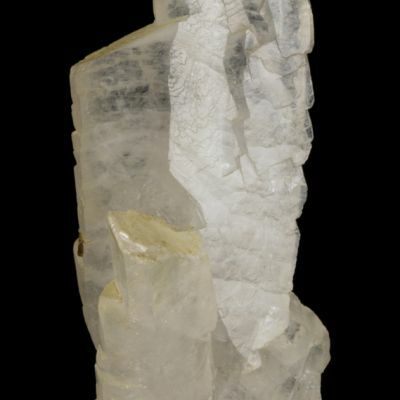 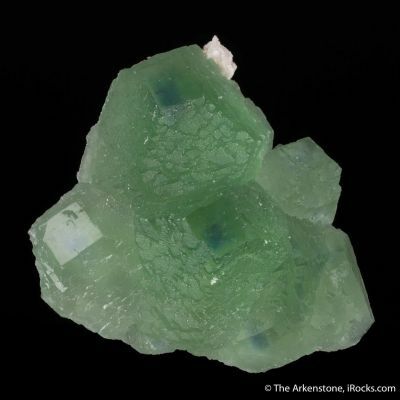 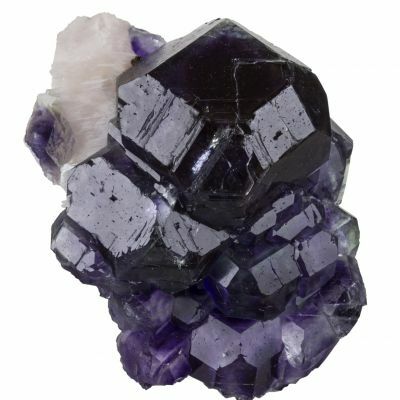 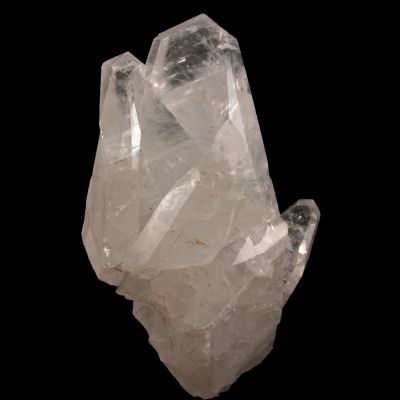 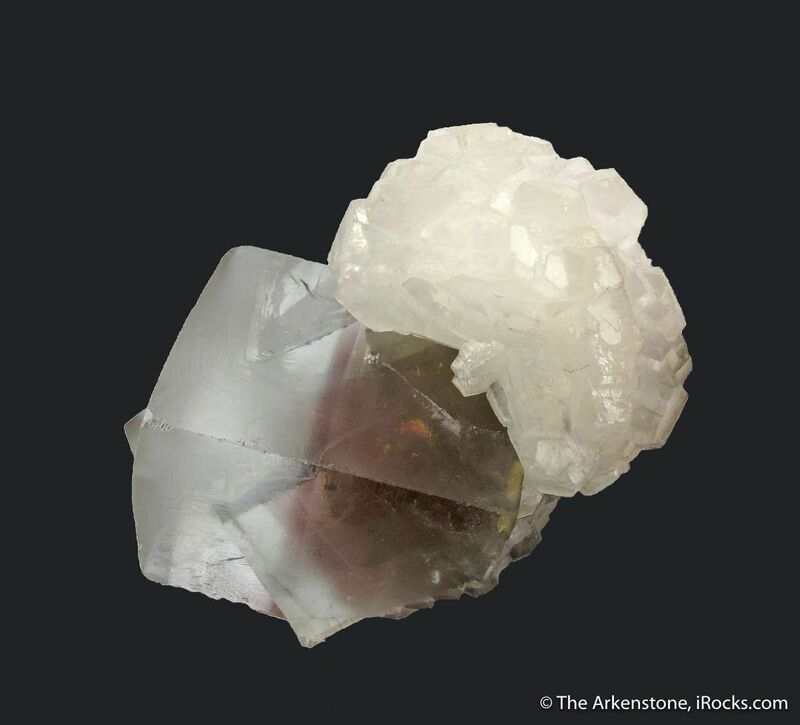 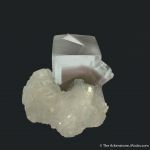 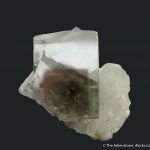 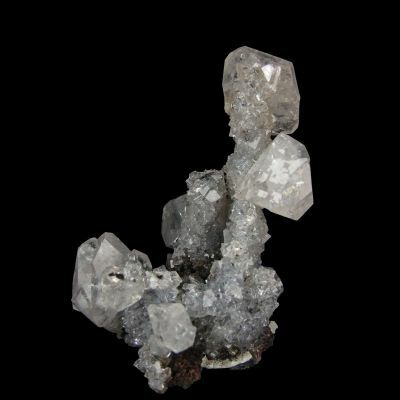 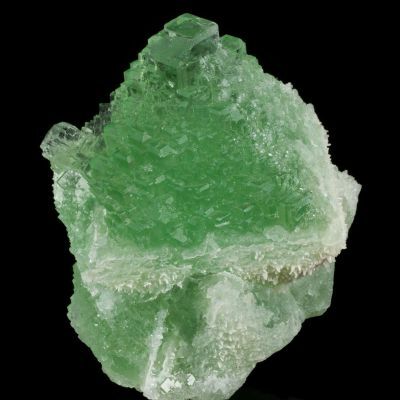 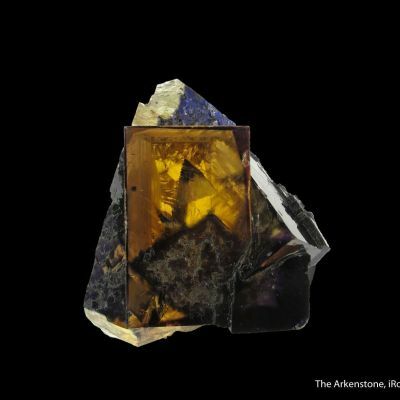 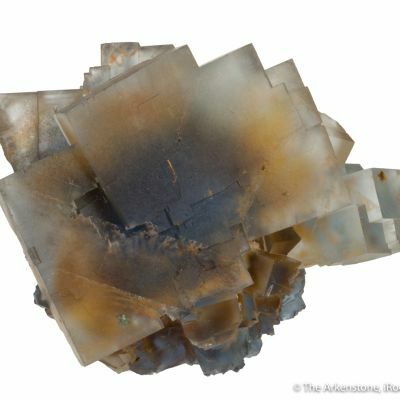 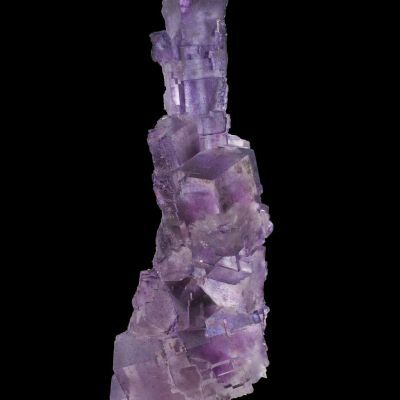 This Fluorite, with classic interpenetrating twins, is water-clear with a zoned purple core. 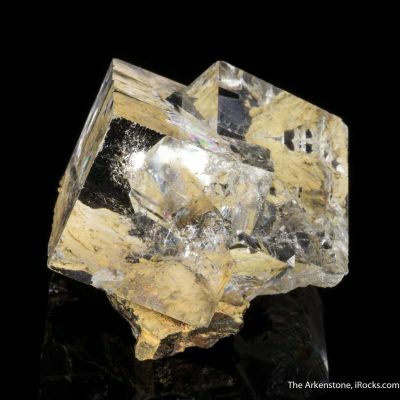 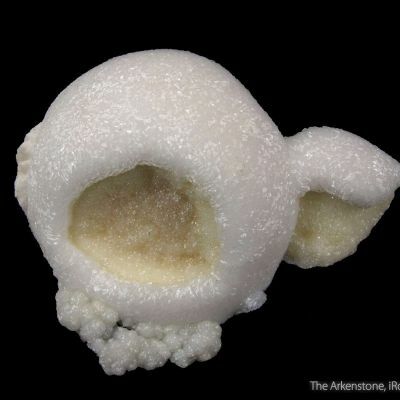 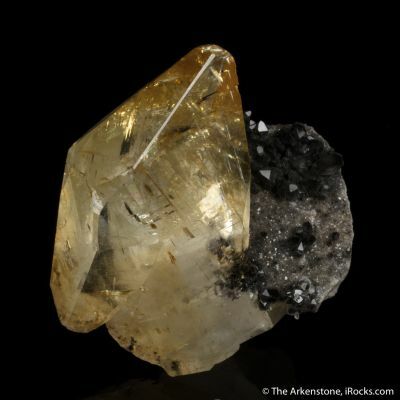 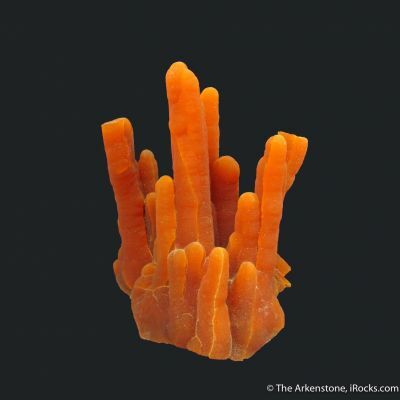 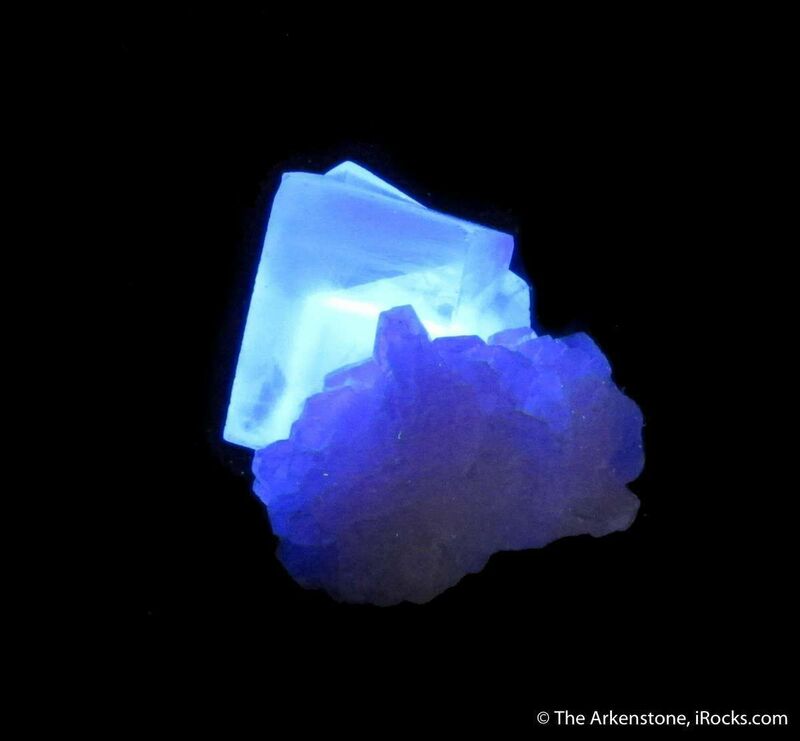 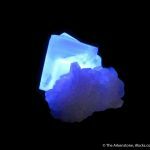 The fluorescence is outstanding, of course, and the luster varies from glassy to frosted. 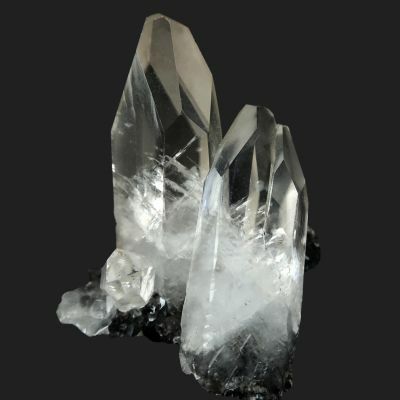 The bladed Calcites that comprise the matrix are sharp, lustrous, and way above average for the Calcites found in combination from Weardale. 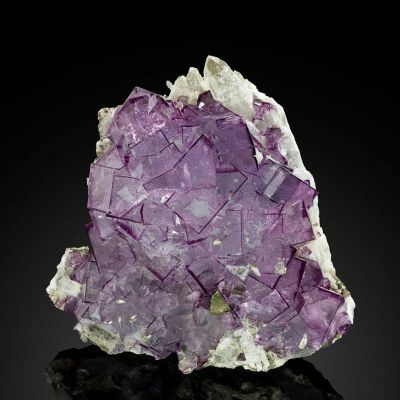 An aesthetic and very good combination piece from one of the most famous Fluorite mines of England. 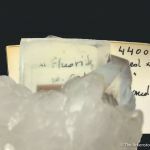 Purchased from the famous dealer AL McGuiness.